UMKC SIFE Is No More!? At a special event held at the Kauffman Foundation on October 30, 2012, the UMKC Students in Free Enterprise (SIFE) team made an announcement that surprised the audience. The event, which is held annually after the team’s yearly trip to China, served as both a debriefing about the China trip as well as a forum for the team’s unexpected announcement. More than 500 people from the Kansas City community joined The Council for Entrepreneurship and Innovation and the Regnier Institute for Entrepreneurship and Innovation at the UMKC Henry W. Bloch School of Management for the 27th annual Entrepreneur of Year Awards on October 16 at the Kansas City Convention Center. Abandoned as an infant, malnourished and diagnosed with failure to thrive, Henry W. Wash (MPA ‘06) almost didn’t get a chance at life. After living in a foster home for seven years, he was finally adopted at age seven. Wash struggled with school and was told he couldn’t learn by a teacher who stuffed him under a desk. Then, a man named Thurman Mitchell took an interest in mentoring Henry and helped him overcome some of his obstacles and learn to succeed. When Thurman died in 2000, Wash says he was at a loss. “I realized that Thurman had put so much of himself into me. He had given me so much and he didn’t get to see me do much with it. I didn’t want to make that mistake again,” Wash said. The second turning point in Wash’s life came when he tried to go to community college but ran out of money. Thanks to the Henry W. Bloch Scholars program, Wash made it through his associate’s degree at Penn Valley, and then earned his four-year degree in sociology and a minor in black studies at UMKC. Through the scholarship, Wash met Henry W. Bloch. In getting to know Henry Bloch, Wash found in him a man he deeply admired and wanted to emulate. In 2003, Wash founded High Aspirations, a program designed to serve the social, emotional, academic and spiritual needs of African-American males from ages eight to 18 through structured activity and learning. “In at-risk communities, conditions like poverty, drugs and violence can sometimes push otherwise good guys into criminal activity, whether they had a propensity for it or not. It’s a matter of survival,” Wash explains. So, as Henry W. Bloch has done for Henry W. Wash, so Henry W. Wash is doing for dozens of young men: giving the gift of opportunity. 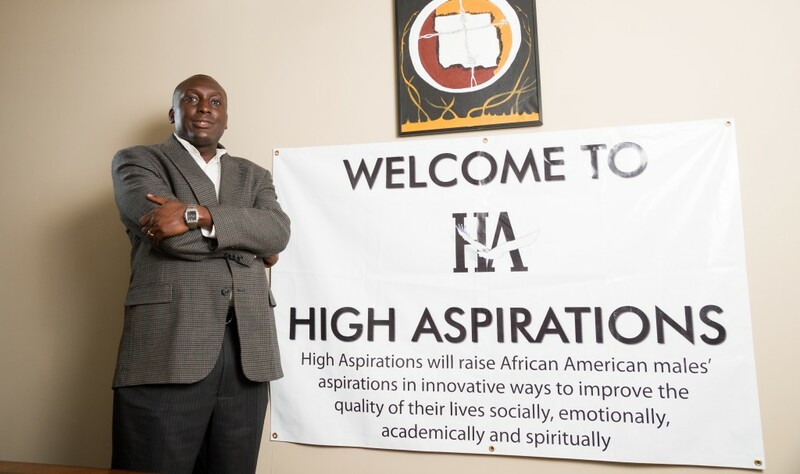 By the end of 2013, High Aspirations expects to have helped more than 60 young men. Get involved! 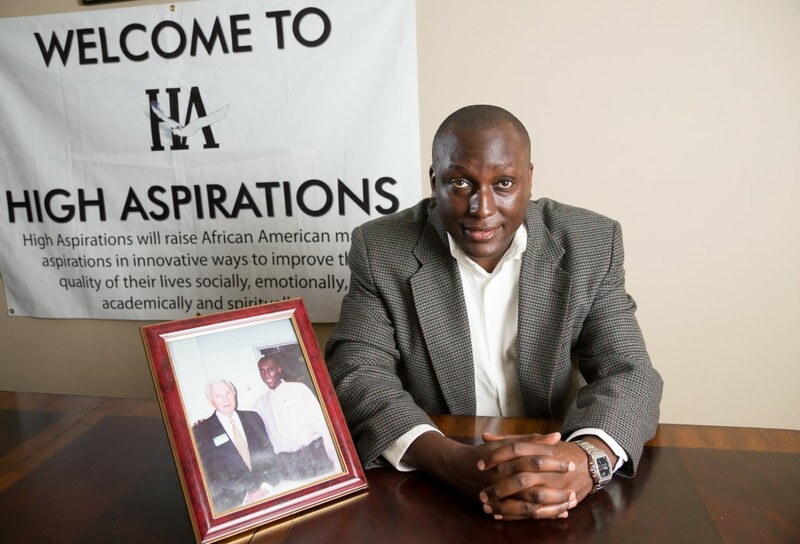 High Aspirations needs talented, committed volunteers to help them succeed and expand. If you have social media, graphic design, video or marketing skills or can help spread the word via networks like your faith congregation or neighborhood outreach, High Aspirations needs you! Contact Bill Patterson to find out how you can help.